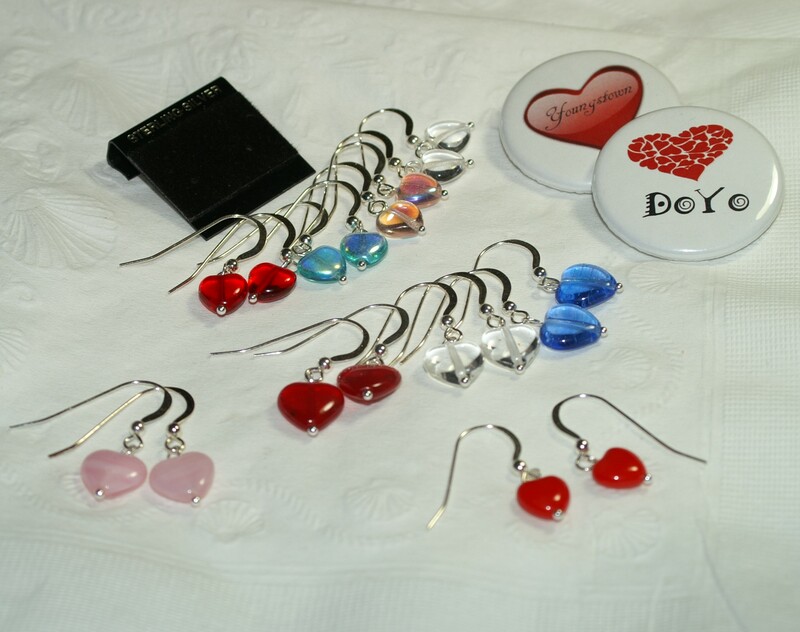 I’m making heart earrings as a Valentine Special for local sales. Beads are Czech glass. The 22ga. ear wires are .925 Sterling Silver. Pickup in DoYo… that’s right smack downtown Youngstown. I only have a few of some of the beads, so available colors will dwindle as sold. Please let me know if you are interested. Thanks for looking!